No this way guys! Rockies was very bad again. They had only 1 run and 4 hits yesterday. Now we can see how Dexter, CarGo and Tulo are important for Rockies. Because Chacin gave them chance to win. He allowed only 1 run in 6 innings. 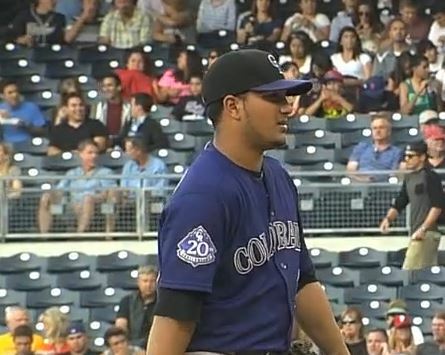 Unfortunatelly than came Lopez and allowed 4 hits and 1 run in 7th inning. But that´s all. Our pitchers allowed only 2 runs during the game. But offense forgot how to hit. With this performance we can´t win.